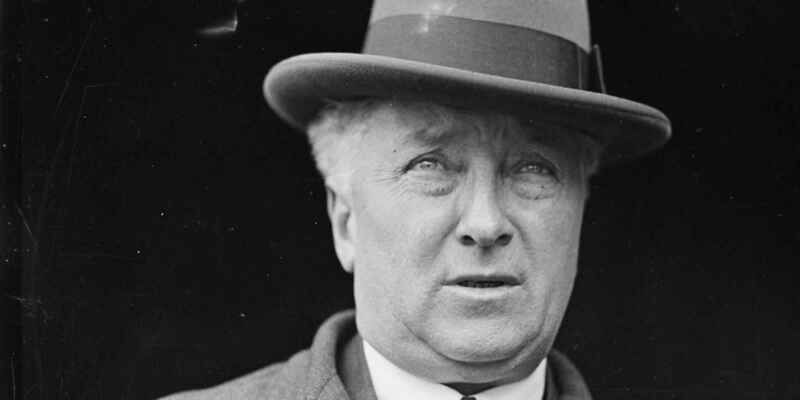 Joseph Lyons became Australia's 10th prime minister when the United Australia Party and Country Party Coalition won office, replacing the Labor government led by James Scullin. 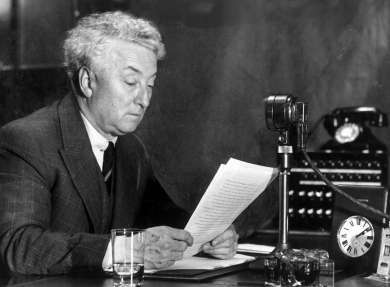 Joseph Lyons was one of Australia’s longest serving and most popular prime ministers. His commitment to Australians living within our means, even during the extreme conditions of the Great Depression, led him to abandon the Labor Party for the conservative side of politics. This did not impact on his electoral success, as he won three elections in a row in the 1930s, but it did leave him open to periodic criticism. Lyons worked as a teacher before winning the State seat of Wilmot for Labor in 1929. A pacifist, Lyons campaigned for a ‘No’ vote in the conscription referenda of 1916-17. Lyons became Premier of Tasmania in 1923 and worked closely with the conservative government in Canberra. In 1929 Lyons successfully stood for the Federal seat of Wilmot. During the Depression years Lyons advocated orthodox finance, opposing the policies of Treasurer Ted Theodore. Prime Minister Scullin took over the Treasury portfolio in 1930, leaving Lyons as acting Treasurer from August 1930 to January 1931. Lyons' cautious economic approach won him public support, but infuriated the Labor Caucus. When Theodore was reinstated as treasurer, Lyons defected. Supported by businessmen, citizens and Robert Menzies, Lyons joined with the Nationalist and the Australian Party to become leader of the new United Australia Party. In 1931, Lyons became prime minister and the Coalition maintained power in the 1934 and 1937 elections. On 7 April 1939, Lyons died unexpectedly of a heart attack while in office. In response to the Great Depression, on 3 May 1932 the Loan (Unemployment Relief Works) Act authorises the government to grant money from a fund of 1 800 000 pounds for relief work approved by the employment council in each state. On 29 November 1932, Prime Minister Joseph Lyons unveils the ‘Dog on the Tucker Box’ statue near Gundagai, New South Wales. Edward VIII is crowned King of England on 20 January 1936 following the death of King George V.
King George VI is proclaimed king on 12 December 1936, following the abdication of his brother Edward VIII, and crowned the following May. The referendum held on 6 March 1937 contained two questions relating to increasing Commonwealth power over aviation and marketing. Neither was carried. On 26 July 1938, the ‘Day of Mourning and Protest’ Aboriginal Conference was held in the midst of Australia Day celebrations. This day is remembered as marking the first Aboriginal civil rights gathering. In 1931, Joseph Lyons and the United Australia Party contested the federal election in coalition with Earle Page's Country Party. Though newly formed, the UAP achieved a landslide victory, winning 34 seats in the House of Representatives compared with 16 for the Country Party, 14 for the Labor Party and 4 for Lang Labor. The UAP secured 15 seats in the Senate, while Labor returned just three. Lyons’ position was such that when he was sworn in on 6 January 1932, as head of a minority government, he was still able to work with an entirely UAP cabinet. In 1934, Lyons’ position was not as strong and, owing to an eight seat swing, he was compelled to include the Country Party in a genuine Coalition government, as was the case in 1937. Lyons was able to deliver on his promises of economic stability. His government too, was generally stable, until the last few months before his death. Lyons was, by nature, gentle and honest and possessed a pacifying style of leadership. As prime minister he had significant public appeal, but within the UAP he had the task of managing a 'nest of impatient egos'. Australia made a slow recovery from the Great Depression but, as the nation got back on its feet, Lyons’ own health deteriorated. There were pressures associated with the tension within the as the UAP, from a revitalized ALP, and the growing likelihood of another world war. By late 1938, Lyons began to lose control of his party, as several challenges to his leadership emerged. Lyons attempted to persuade former Nationalist prime minister Stanley Melbourne Bruce to return to parliament as leader of the UAP without success. Even Menzies, who had been a proponent of Lyons, resigned his positions as Attorney-General and Minister for Industry on 20 March 1939, in protest at the government’s failure to implement a national insurance scheme. On Lyons’ death, he was leader of a fractured party and a strained coalition. Papers of Joseph Aloysius Lyons, 1924-1939. Joseph Lyons and stockbroker Staniforth Ricketson met as young men, but neither could have foreseen the consequences of this acquaintance. In 1930, the Scullin government was grappling with the Great Depression. Ricketson, who had achieved significant personal financial success, was deeply concerned by the financial policies emerging from the government. In late 1930, Ricketson took action by encouraging then acting Treasurer Lyons to defy the Labor caucus and set about raising a £28 million conversion loan to deal with national debt. Ricketson formed and headed a committee to advise Lyons and promote the loan. Ricketson, along with four other businessmen and his friend Robert Menzies, became known as ‘The Group’. The Group slowly made moves to convince Lyons to leave the Labor Party, and in March 1931 he did just that. Ricketson and Menzies worked together with Lyons to unite non-labor parties in a single United Australia Party. 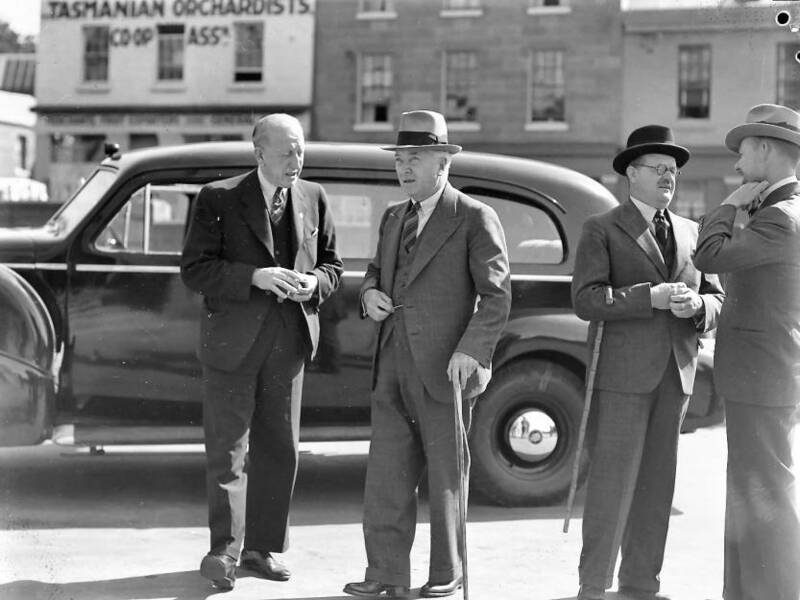 In March 1933, Joseph Lyons headed a Federal delegation to campaign against the secession of Western Australia from the Commonwealth in an upcoming state referendum. The campaign opened at the crowded Theatre Royal in Perth. Even before Lyons spoke, coins were hurled from the crowd hitting, among others, Enid Lyons who was forced to leave. Lyons' speech lasted well over an hour, but the vociferous crowd meant his words reached only those closest to him. With the exception of a few lulls, the Theatre was ‘a storm of interjection’. As Lyons pressed on, he was finally drowned out by cries of ‘Poor Old Joe’. Many Western Australians believed their needs were placed second to those of the more populated states, and Lyons’ ‘coat-of-many-colours’ reputation did little to underpin his advocacy.